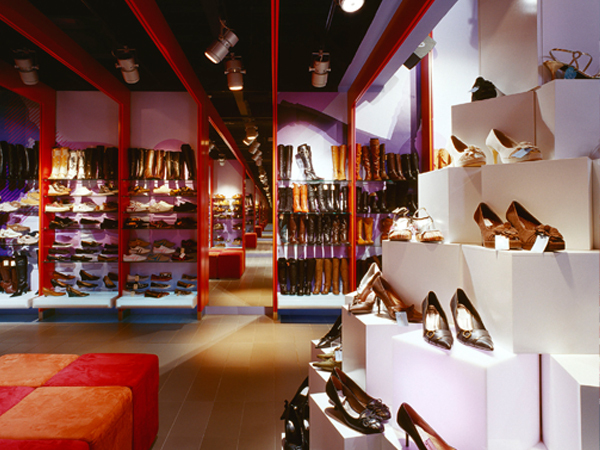 Geared towards the teenager to 20’s market, this 800 sq ft shoe store has been described as ‘funky, fashionable, fast and accessible’. Korky’s is a fun, energetic and youthful space which is strongly influenced by the use of graphics & bold colours. Ironically the brief here was “anything but a white box”, while this is what was designed it is also space full of white boxes. These white boxes which make up the cash desk & Central display are designed to reflect the shoeboxes of the “Millions” of shoes sold over the years by the numerous Korky’s stores. However, one of the exciting elements of this interior is the two tone “blades” or “goal posts” which were used to create uprights of the shelves and form the illusion of a ceiling. Red on one side and orange on the other, the effect is to give the store a different palette depending on which way you are facing with in the space. 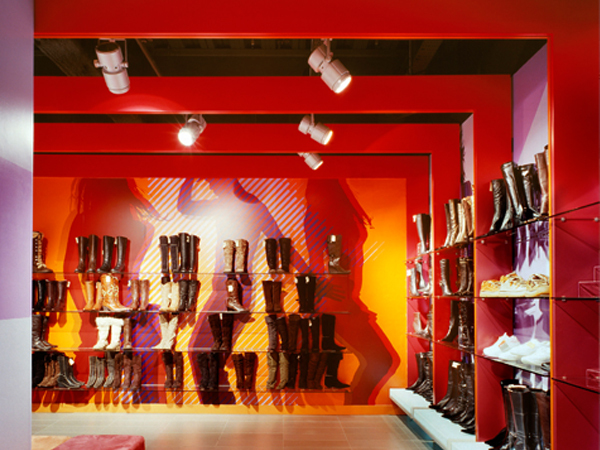 The result is dynamic, colour changing space that reflects the youthful energy of the customers it draws in.